NITI Aayog together with Rocky Mountain Institute (RMI) has released a report titled “India’s Electric Mobility Transformation: Progress to Date and Future Opportunities”. The report analyses the opportunities for the automobile sector and government under the Faster Adoption and Manufacturing of Electric Vehicles II (FAME II) scheme. The electric buses covered under FAME II will account for 3.8 billion vehicle kilometres travelled over their lifetime. The National Maritime Day 2019 was observed on April 5, 2019 with the theme “Indian Ocean – An Ocean of opportunity”. First observed on April 5, 1964, National Maritime Day (NMD) aims to spread awareness in supporting safe and environmentally sound commerce between the continents across the world. It has to be noted that the World Maritime Day is celebrated on September 26 every year to highlight the importance of shipping, maritime security and environment. World Health Day 2019 was observed worldwide on the 7th of April with the theme “Universal health coverage” with an aim to ensure that everyone can obtain the care they need, when they need it, right in the heart of the community. The World Health Day is celebrated to commemorate the establishment of WHO which came into being on April 7, 1948 to address vital health care issues. WHO is headquartered in Geneva, Switzerland. Nagaland observed the 75th Anniversary of the Battle of Kohima with the theme ‘Remembrance, Reconciliation and Rebirth’. The event was attended by the representatives from the UK and Japan. The dignitaries from the UK and Japan sought reconciliation and forgiveness for the sufferings and pain caused against each other at the Battle of Kohima, that was fought in three stages during the Second World War in 1944. Vice President Venkaiah Naidu conferred President’s Certificate of Honour and Maharshi Badrayan Vyas Samman Awards at New Delhi. The award of the Certificate of Honour was introduced in the year 1958 to honour the scholars of Sanskrit, Arabic and Persian Languages. Introduced in 2002, Maharshi Badrayan Vyas Sammandistinction is conferred on persons in recognition of their substantial contribution in the field of Sanskrit, Persian, Arabic, Pali, Prakrit, Classical Odiya, Classical Kannada, Classical Telugu and Classical Malayalam. 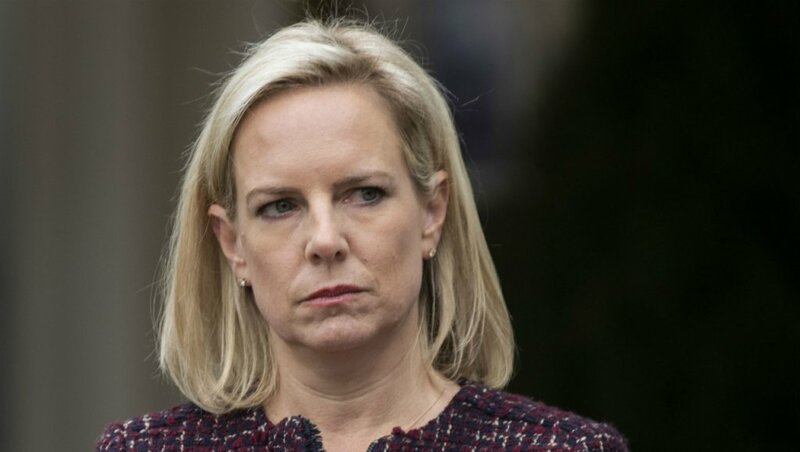 Kirstjen Nielsen, the US homeland security secretary, on April 7, 2019 stepped down from her position, ending a tumultuous tenure in charge of the border security agency. Nielsen would be temporarily replaced by Customs and Border Protection Commissioner Kevin McAleenan. Nielsen’s department was responsible for implementing the proposed border wall and the separation of migrant families. The International Day of Sport for Development and Peace (IDSDP) was observed across the world on April 6, 2019 to commemorate the inauguration of the first ever Olympic games of the modern era in Athens, Greece in 1896. The day aims to spread awareness about the positive influence that sports can have on the advancement of human rights and economic development. The United Nations General Assembly on August 23, 2013 decided to proclaim 6 April as the International Day of the Sport for the Development and the Peace. The day has been celebrated every year since 2014. 1. On which day National Maritime Day is observed across India? 2. Where is the headquarters of WHO? 3. When was the Battle of Kohima take place? 4. When was the President’s Certificate of Honour and Maharshi Badrayan Vyas Samman Awards introduced? 5. Who was the US homeland security secretary who resigned recently? 7. When was the first International Day of Sport for Development and Peace (IDSDP) celebrated?